There is no doubt that China is the Saviour of the collapse of Mongolia. This year, Mongolia’s economy is showing a potential collapse, the country has been unable to pay financial wages and government departments operating costs, is expected this year, the proportion of government debt in GDP will reach 78%. But coal exports have saved Mongolia yichujikui economic situation. According to Mongolia’s National Statistics Office released monthly statistics, 2016 1-11 months, Mongolia exported 22 million 197 thousand tons of coal, an increase of 9 million 320 thousand tons over the same period last year, growth of 72.4%. Of course, these coal exports are china. But after many years, Mongolia has been the capital of China from China wary, even if in the bid, Mongolia has the phenomena of breach of contract. 31, economic information obtained data show that as of 9 at the end of 2016, the Mongolia government debt amounted to 23 trillion and 450 billion (about $10 billion 422 million), the balance of foreign debts and GDP ratio of 78%. Sub regions, Latin America and Africa debt \/GDP ratio of 48% and 43%, while China’s debt \/GDP ratio last year was only about $13%. Mongolia’s \/GDP debt ratio is close to Greece before the crisis. At the same time, before the three quarter of Mongolia’s total fiscal revenue 40127 billion, representing a decrease of 0.8%; the total financial expenditure for $60644, representing an increase of 23.4% over the same period last year; fiscal deficit $20517, is 2.37 times last year. But Mongolia’s currency depreciation is more terrible, this year Mongolia Tugrik currency against the dollar depreciated by more than 20%, the first half of this year, the country’s economic growth rate has dropped to about 1%, the money is in the past four years the depreciation of up to 58%, the first half of this year, Mongolia has more than 60 thousand national home has been closed or discontinued the more than 130 thousand registered enterprises. As an example of direct is that this year, Mongolia’s prime minister admitted that the government has defaulted on 2069 boxers, freestyle wrestling athletes, archers and other athletes as many as 1 billion 700 million tugriks ($980 thousand) salary and bonus. However, Mongolia’s economy has not yet reached a collapse, because of his total exports, China accounted for 82.26%. 31, economic information obtained data show that the first three quarters of 2016, Mongolia to Chinese exports $2 billion 741 million 300 thousand, accounting for the total exports in 82.26%, while Mongolia imports from China $820 million 500 thousand, accounting for 33.52%. of the total imports. In other words, Mongolia’s trade with China, which received a trade surplus of $1 billion 920 million. The money from China allows Mongolia to import goods that meet basic needs from the outside world. In the first three quarters of the year, Mongolia imported $2 billion 448 million. As the economy of Mongolia in Mongolia Chinese Savior, import what? he answer is coal. According to Mongolia’s National Statistics Office December monthly statistics released this year in Mongolia coal production and export volume increased significantly during 1-11 month.2016, Mongolia coal production 30 million 45 thousand tons, an increase of 40% over last year by 8 million 587 thousand tons; exports 22 million 197 thousand tons of coal, more than the same period last year increased by 9 million 320 thousand tons, growth of 72.4%. It is worth noting that almost all of these coal shipped to china. 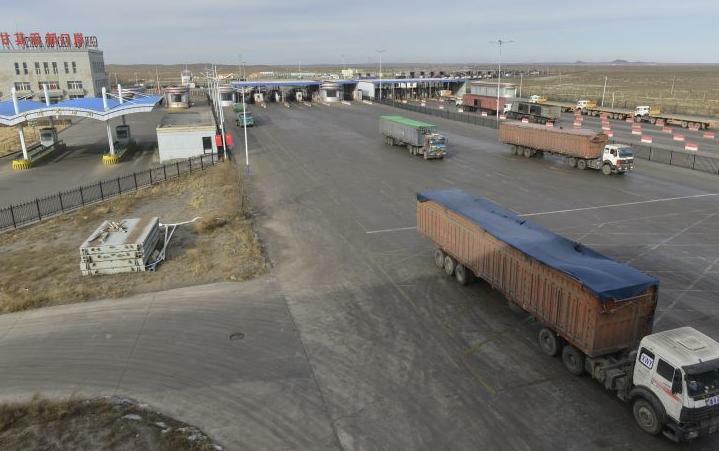 31, economic intelligence in the Sino Mongolian border customs data statistics found that this year by the Mongolia coal transportation quantity into more and more Chinese. For example, as of November 30th, Inner Mongolia customs Urad Ganqimaodu Port coal imports reached 11 million 111 thousand and 900 tons, an increase of 104.74%; imports of copper concentrate to 855 thousand tons, growth of 8.27%. According to the specific month, China October to Australia, Mongolia, Canada imported coking coal total 4 million 753 thousand tons, accounting for 92.1%. of the total imports of coking coal from Australia coking coal 2 million 237 thousand tons, an increase of 36.8%, imports of Australia coking coal price of 140.7 U.S. dollars \/ ton;Coking coal imports from Mongolia was 2 million 150 thousand tons, an increase of up to 213.9%,Mongolia coking coal imports average price of $38.6 \/ ton, up by 11.6%. Whether it is price advantage or quantity of coal, Mongolia is replacing China’s largest coal importer australia. At present, Mongolia to Chinese do not seem to appreciate. First of all, repeated breach of contract. Mongolia is an important coal producing countries, the country’s southern Gobi province Tolgoi coal mine as a world-class large-scale coal mine. Previously, China Shenhua Group has twice bid part of the mining rights of the project, but because of opposition to Mongolia and other reasons, the project has been stranded. In 2011, the Mongolia government held the international bidding, Shenhua led consortium won the Tolgoi Coal Mine West 40% stake, but then not long, the situation reversed, Mongolia due to domestic opposition, the government of Mongolia decided to reinvent the tender. Again in 2014 when the tender, the Shenhua Sumitomo consortium although re bid, but eventually in Mongolia blocked the great hural. Repeatedly go back, the government of Mongolia International Trust has dropped to negative. Secondly, according to the 31 provincial economic information obtained data show that since opening its doors open market from Mongolia, has 7100 companies registered in Mongolia, according to statistics from the Mongolia tax department, is currently engaged in business activities of Chinese enterprises in Mongolia only 2000 left and right. Is in Mongolia for the enterprise’s The climate does not suit one., or a bad investment environment dictates, the data has it all. Finally, the Mongolia China wary, this has been acknowledged by the whole world. According to “a demonstration of the Sino Mongolian relations” of Contemporary Asia Pacific paper shows that although bilateral relations are being strengthened, but many Mongolia officials and people still China unfriendly, now Mongolia, there are still China and hatred, rejection of history Chinese heat. Many scholars and officials on Mongolia once part of China is very taboo historical facts, that this has hurt the dignity of Mongolia. The threat of Pan Mongolia doctrine still exists. Mongolia has always stressed the independence of our nation, with the return of Mongolia in Asia, to promote the restoration of national tradition and promote national culture, the restoration of traditional Mongolian characters, re evaluation of Gen Gi Khan, Mongolia nationalism began to revive.